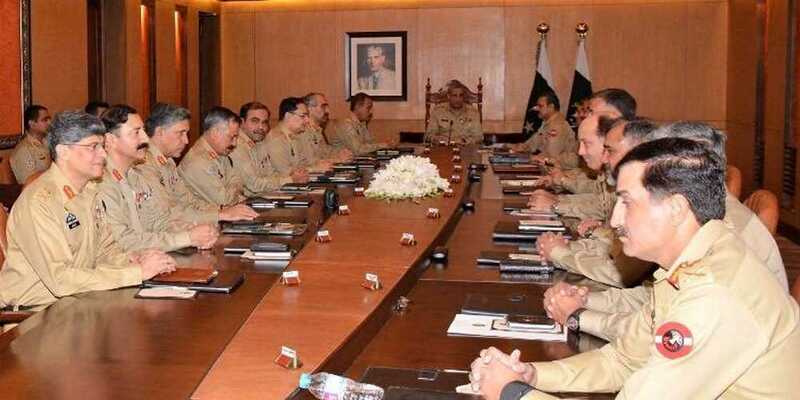 According to a press release issued by the Inter-Services Public Relations, the 214th Corps Commander’s Conference, presided by Chief of Army Staff (COAS) General Qamar Javed Bajwa, was held at the General Headquarters (GHQ) on Monday. During the huddle, the military leadership also reviewed the geostrategic environment and the overall security situation of the country. The statement by the military’s media wing added that the army chief also briefed the forum regarding his recent trip to China. General Bajwa also hailed security forces and agencies for maintaining peace during Muharram. The forum further thanked people for “honoring martyrs in a befitting manner” on Defence Day on September 6.